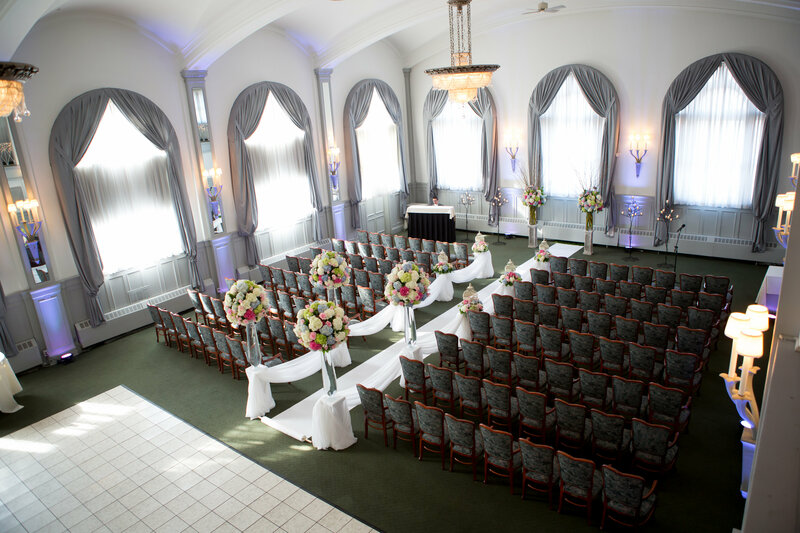 The Binghamton Club is the top venue in downtown Binghamton's historic homes district for an elegant and unforgettable event! We are very affordable and can customize a wedding package for every taste and budget. Contact us for menus. We are now booking 2017 and 2018 Wedding Receptions. We offer Friday evening cost-saving incentives. Please inquire! When you book your wedding at the Club, it will include a wedding coordinator, tables, solid cherry-wood upholstered chairs, working fireplaces, linens and napkins, glassware/china/silverware, a beautiful new white Corian dance floor, and a cake table (no cake cutting fee), among many other things! We also provide bartenders and waitstaff trained in formal dining service and a culinary staff of culinary school graduate chefs. to set up a private tour of the beautiful Binghamton Club! Want to see more check out our wedding video!